Our guest post this week is by Katie Nagy, Public Observatory Coordinator at the Smithsonian National Air and Space Museum. The National Air and Space Museum celebrates Explore the Universe Family Day each year in April. For the past several years, the theme has been Everyone Looks Up. Throughout the Museum, visitors engage in activities that help them see the universe through the eyes of people they’ve never met and from places they’ve never visited. 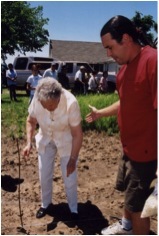 They experience performances, participate in activities, talk to astronomers, and look through telescopes. 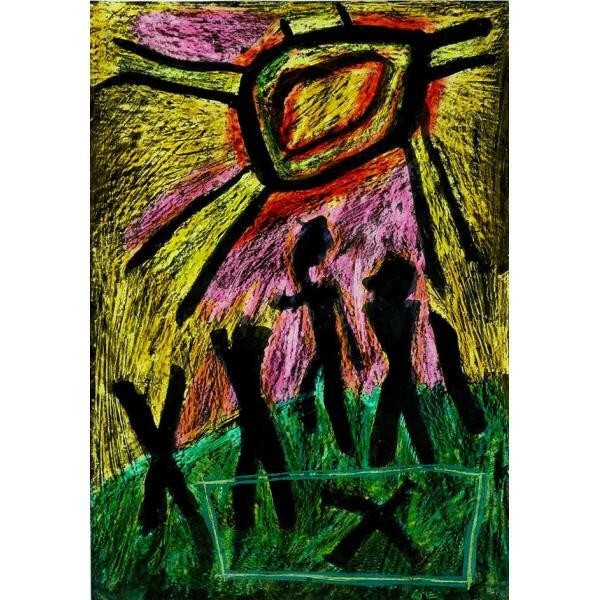 The program gives them a chance to think about astronomy as a cultural activity as well as a scientific activity. To help our visitors get to know their night sky better, the day begins with a planetarium show featuring Star Stories from Around the World. Visitors see the stars, planets, and constellations that are visible from Washington, DC after the sun goes down. Then the stars move overhead and everyone sees the constellations as they appear from the equator and the southern hemisphere. 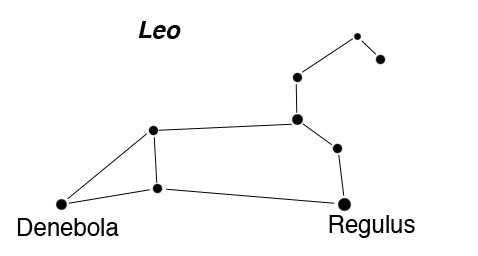 Some constellations are visible in both the northern hemisphere and the southern hemisphere, like Leo and Orion which are visible here in April. Other stars can only be seen from certain areas; the southern constellations Carina and Piscis Austrinus, for example, are visible to sky watchers in Africa but not to those in the northern hemisphere. Even though there are some constellations that we all see, the pictures that we imagine in the stars aren’t necessarily the same as the ones that people in other parts of the world imagine. The pictures people see and the stories they tell reflect characters and imagery that are important in their culture. It’s interesting to see the stars of a familiar constellation through the eyes of people from across the world, and to learn what those stars represent to them. Sometimes the stories are very different, but there are some striking similarities that can show us how much we have in common as people of Earth. 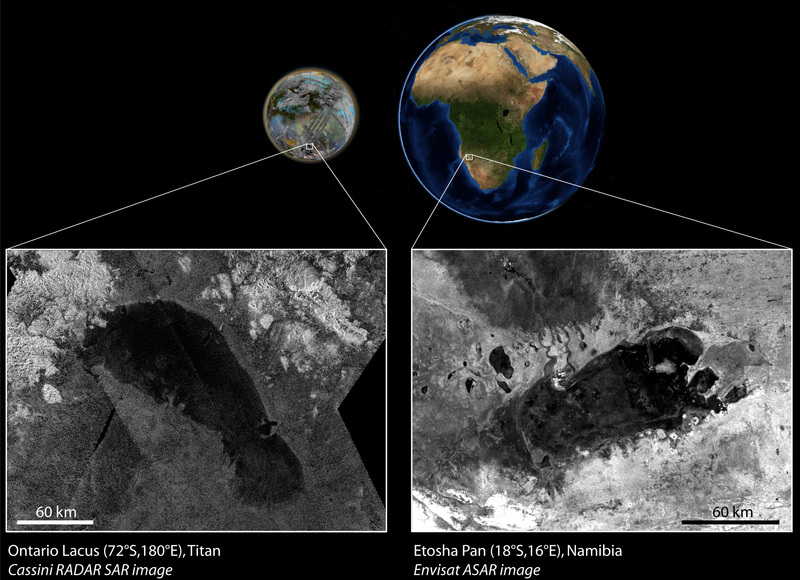 Researchers in France have discovered new details about a large lake named Ontario Lacus on Titan, Saturn’s largest moon. 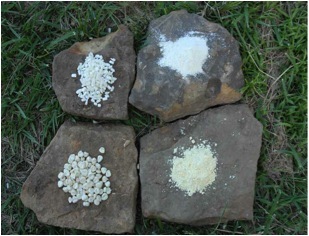 New research indicates that the lakebed surface is exposed and that the liquid level (methane) within the lake has varied. These characteristics make Ontario Lacus remarkably similar to northern Namibia’s Etosha Pan, a lake that is also dry for much of the year, occasionally filling with a shallow layer of water which evaporates. 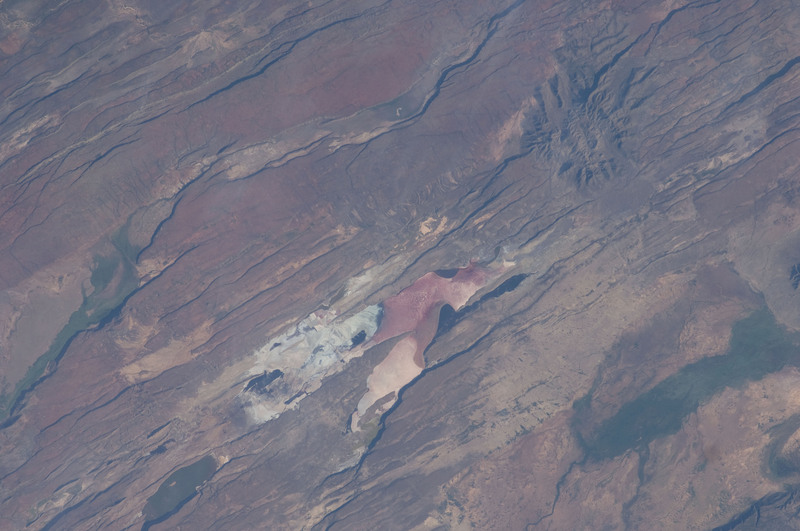 Crew members aboard Expedition 30 of the International Space Station took this photo of the East African Rift Valley in Kenya, located near its border with Tanzania. In this image, you can see numerous linear fault lines that occupy the floor of the valley; the rift was formed by a fracturing of Earth’s crust. Shadows cast by the late afternoon sun make the fault scarps (steps in the landscape caused by slip motion along individual faults) more prominent. The rift is also home to numerous active and dormant volcanoes. 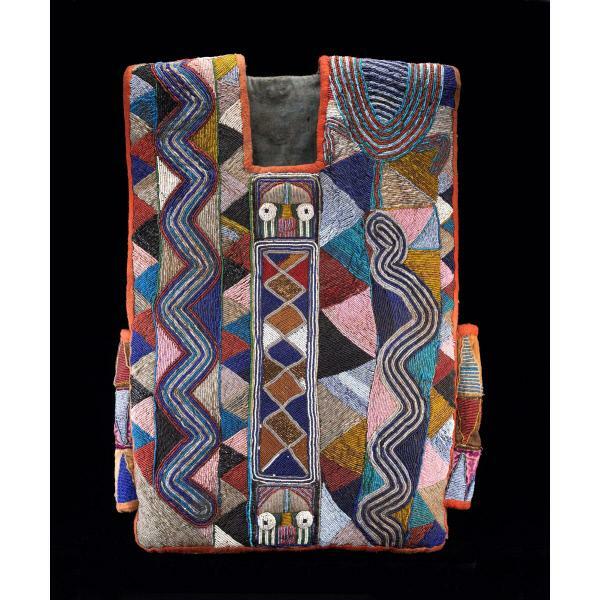 Our guest post this week is by Doug Herman, Senior Geographer for the Smithsonian National Museum of the American Indian. The discovery of the Hawaiian Islands by Polynesian voyagers over a thousand years ago is one of the greatest human adventures and feats of navigation. Not only did these sailors cross 2500 miles of open ocean in crafts made with stone-age tools, but once they found these islands, they sailed back and forth to their South Pacific homelands (the Marquesas, and later Tahiti) many, many times. Each trip required finding tiny dots of land in the midst of a vast ocean. How did they do it? Just as various cultures in Africa relied upon star knowledge to travel, we know today that in-depth star knowledge was the essential part of traditional Polynesian navigation. When Native Hawaiians built the Hokule‘a voyaging canoe in 1976 with the plan to sail to Tahiti using traditional methods, Hawaiian star knowledge had long been lost. Oral tradition holds that transoceanic voyaging to and from Hawaii ended in the 13th century. 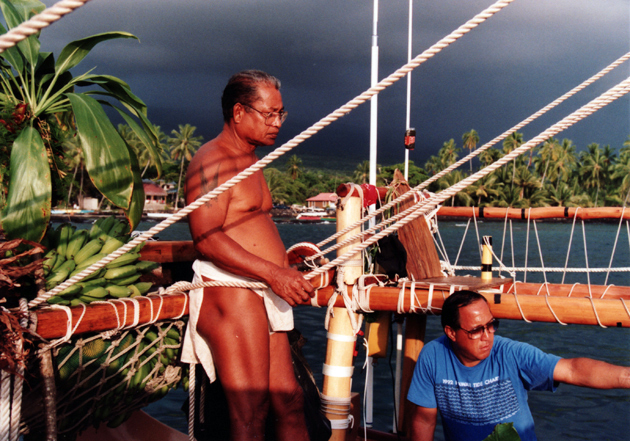 So Pius Mau Piailug, a navigator from the tiny Micronesian island of Satawal, was recruited to guide the Hokule‘a. Mau successfully made landfall in Tahiti, and the Hokule‘a has since voyaged all over the Pacific, finding islands using traditional navigation. A new generation of Hawaiian navigators emerged under Mau’s tutelage, and more voyaging canoes have been built. Navigating by stars requires learning the rising and setting positions of stars in eight directions of the sky. Because each star is useful only when near the horizon, the navigator must know a series of stars for each position. Mau knew the paths of over 160 stars. Knowledge of ocean swells was used when the stars were not visible. Latitude can be found using pairs of stars that set together. Voyagers would aim upwind of their destination island, and having reached the appropriate latitude, sail downwind along that line until landfall was made. Hawaiian navigator Nainoa Thompson has used Mau’s knowledge and the fragments of Hawaiian star lore to create a new star guidance system for today’s Hawaiian voyagers. Na Ohana Hoku Eha, The Four Star Families, divide the celestial sphere into four sections that run from North to South. Using names from Hawaiian history and folklore, this new star-knowledge system restores Hawaiian star names into the vernacular of today’s voyagers, making the night sky relevant to today’s Hawaiians. By memorizing these “families” and each member star as well as their relative positions, navigators can determine which stars should be overhead even if they are obscured by clouds. Kekaomakali’I (The bailer of Makali’i): Makali’i is one Hawaiian name for the Pleiades star cluster. Kaiwikuamo‘o (The Backbone): This starline is called “Backbone” for it runs from the North Star, Hokupa‘a (Fixed Star) to Hanaiakamalama, the Southern Cross. Manaiakalani (Maui’s Fishhook): The magic hook of the Hawaiian demigod Maui shares many of the same stars as the constellation Scorpius and was named Manaiakalani. Kalupeakawelo (Kite of Kawelo):The four stars in the kite of Kawelo are named after four prominent chiefs of the islands: Manokalanipo, chief of Kaui, Keawe, of Hawaii Island; Pi‘ilani, of Maui; .and Kakuhihewa of O‘ahu. The recent seizure of Timbuktu by rebels in northern Mali has raised fears about the preservation of the famed Timbuktu manuscripts. 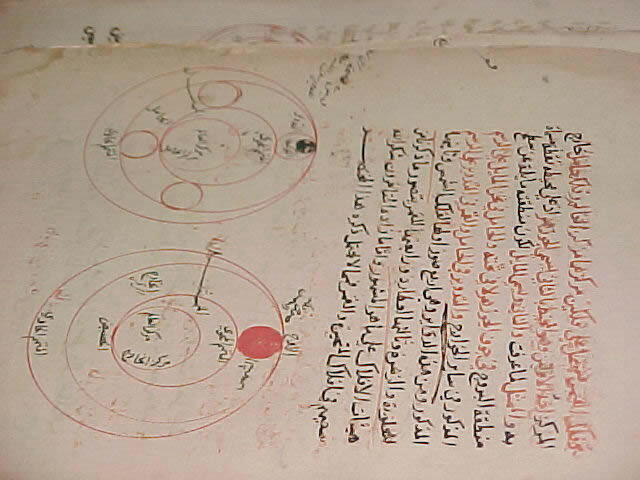 The manuscripts, which date back to the thirteenth century, served as guides on multiple subjects, a significant portion of which included astronomy. Last week the first ever Africa Forum on Science, Technology and Innovation for Youth Employment, Human Capital Development and Inclusive Growth was held in Nairobi. Delegates at the forum spoke of plans to establish a continental science foundation (comparable to the National Science Foundation) to fund innovative and collaborative research across borders.